Pay what you can afford and 10 % of that goes to a cause you care about. Not everything in life needs to be hard. Creating a unique sound can be easy and fun. RE4ORM does just that by providing simple macro-driven control over a powerful additive synthesis engine. It’s never been easier to get inspired. 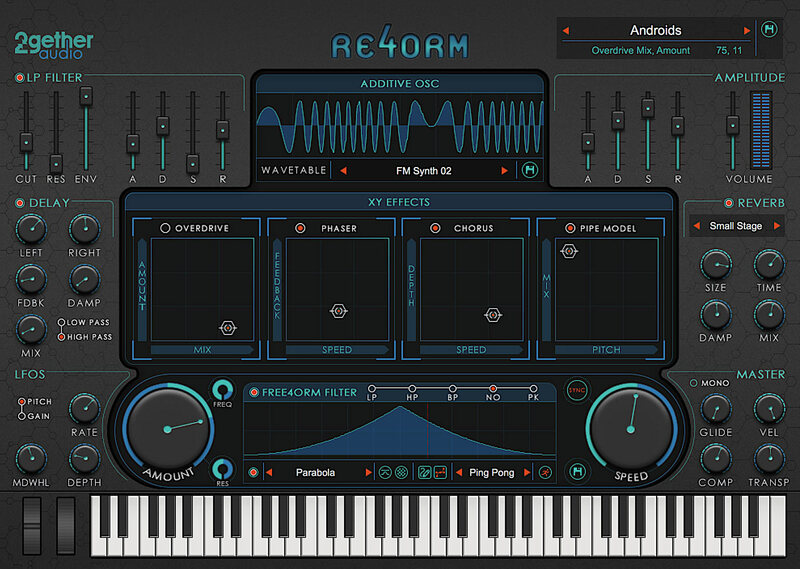 Take control over RE4ORM’s pristine additive synth engine with a simple drag of your mouse. Unlike typical additive synthesizers that require you to edit each partial individually, RE4ORM lets you grab multiple partials at once and 4orm them to your sonic liking. Unique sound design is made fast and easy. It takes just seconds to pick a sound and make it your own. Giving your sound depth and dynamic motion is a multi-dimensional party in RE4ORM. 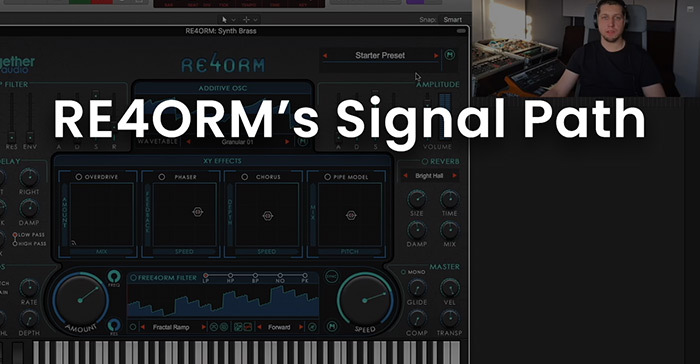 RE4ORM’s Free4orm Filter is a crazy smart Super LFO controlling a selectable high pass, low pass, band pass, notch and peak filter with amazing results. 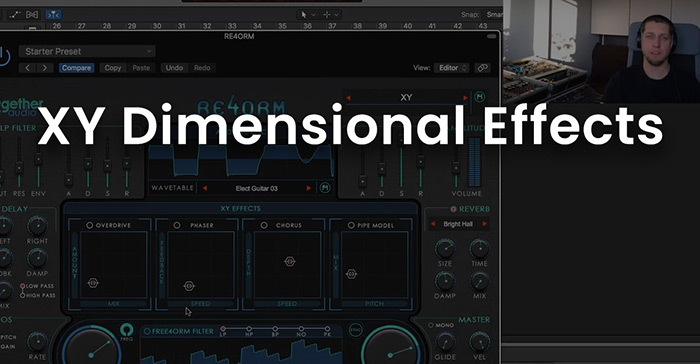 RE4ORM’s Dimensional Effects go far beyond what other plugins offer. 4 sound bending effects, including a very cool pipe modeling filter, are guaranteed to add anything from a little extra thickness to an otherworldly soundscape to your music. The unique XY Pad layout lets you take them even further by using your mouse to easily dial in movement. RE4ORM comes with over 200 factory presets carefully tuned to work great in a mix. 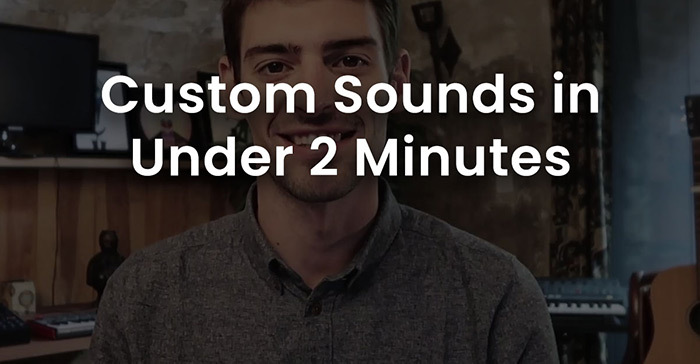 Edit any parameter of any sound to make it your own. Sounds are organized into categories so you can quickly find what you're looking for or use the arrows to quickly try them all out. 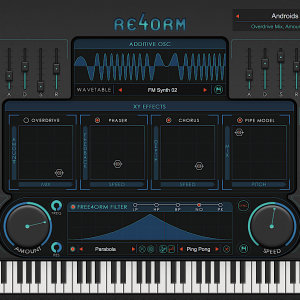 RE4ORM uses a powerful additive synthesizer to generate its unique sound. Select from over 100 included wavetforms or use your mouse to directly change its shape and sound. Once you have something you like, you can name it, save it, and reuse it in other presets. Sometimes you'll want to shape the frequency response of the additive waveform before it goes through the XY Effects and Free4orm Filter. This dedicated low pass filter and filter envelope allows you to do just that. 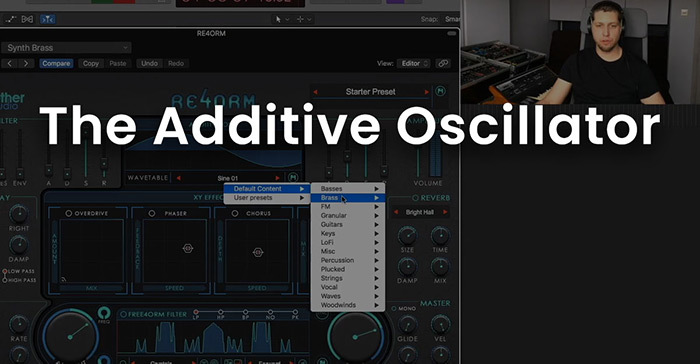 A traditional ADSR envelope can turn pads into leads or leads into pads and so much more. RE4ORM's XY Effects give you two degrees of control over each effect. Both degrees are fully automatable giving you hands-on performance control. The Pipe Model effect uses a modeling algorithm to run RE4ORM's presets through a large tube. The effect is unlike anything you've heard before. Sometimes eery, sometimes unpredictable, but always unique. Dial in the perfect amount of overdrive to add some grit and edge to your sound. 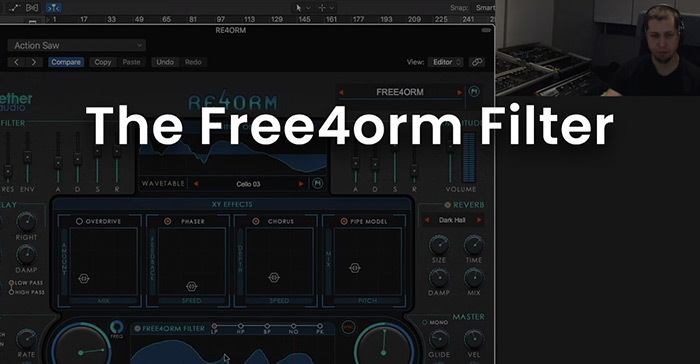 The Free4orm Filter combines a super powered tempo sync'd LFO with a multi-mode filter for animating, morphing, randomizing and pulsing your sounds. Select, draw or morph your LFO shape, then select one of 5 filters to run it through. You won't believe the sonic results. 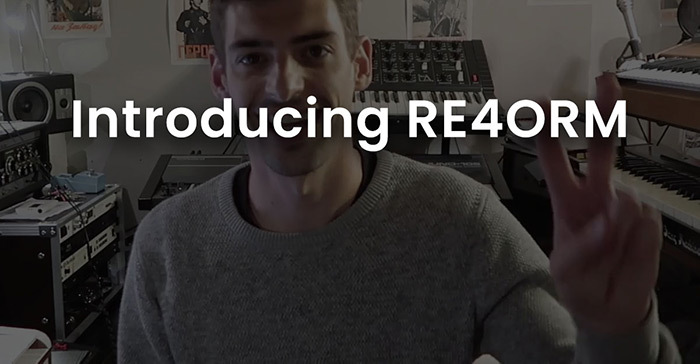 RE4ORM's reverb is a custom algorithm by John Teele, DSP audio engineer, which allows for emulation of different spaces with incredible clarity. Everybody we know loves this reverb. We think you will too. So many sonic options with this delay including a built in low pass and high pass filter on the delay signal. Mono and glide modes for your leads and basses. A compressor for some extra punch. Transpose for quick range control. Velocity control for perfect playability. Two dedicated LFO's for pitch and gain modulation for further sonic distinction. The Modwheel knob assigns these effects to your keyboard's modwheel for real time playability. When you need to be exact, use the parameter display to see the exact values of every parameter you edit. A classic and gorgeous phaser, great for pads and keyboards alike. RE4ORM's chorus is the go-to effect to instantly thicken leads, pads, effects and more.